The Dynair® Balance Seat is a perfect for active sitting, balancing and training for children. 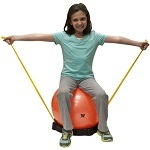 Dynair® Balance Seat is a great starter balance training tool for children. It is stable. Extremely durable. 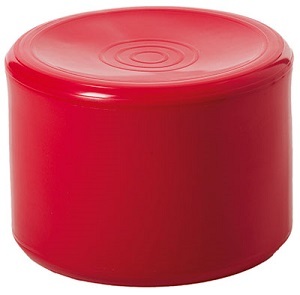 The scoop down design allows for comfortable and secure sitting without strain to stand back up. The durable material ensure longevity of the product. . With a high weight capacity, they're fitting for any pediatric age and need. Choice of colors: red or blue. 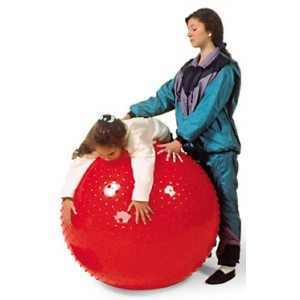 These Dynair Balance Seats can help with vestibular development, along with balance. 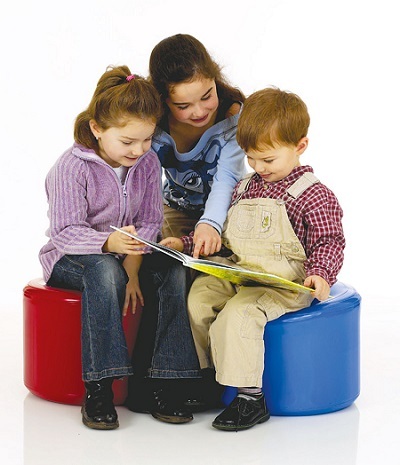 The seats are a great tool to teach a child to sit, whether to wait or for story time, the seats have a plethora of uses. With a weight capacity of 440 lbs, these seats are durable. 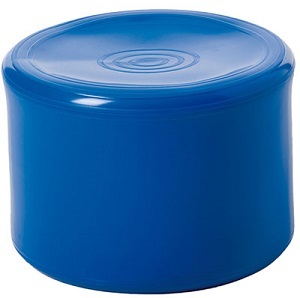 Great for one-on-one use or in a group setting. 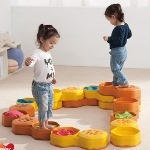 Older children can also use them to do balance activities on them by sitting on their knees or a variety of other ways. Size: 14" x 14" x 11"